I’m not really a secondhand kind of gal – I’ve never bought a used item from eBay, I’ve never worn an item of clothing purchased in an op shop and, if I were to be entirely frank, I doubt I will do so in the near future. I prefer my things clean, and new. Except when it comes to books. 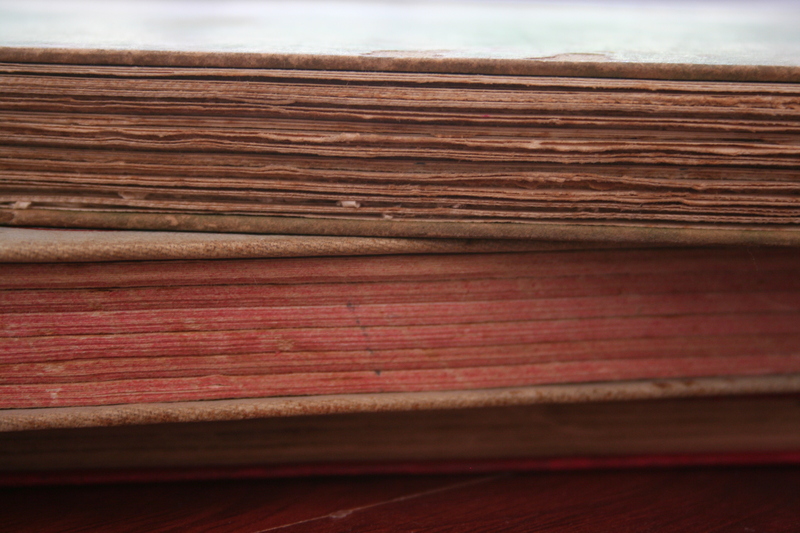 Whilst the majority of my book collection boasts clean covers and barely touched pages, I have a secret crush on secondhand books – very old secondhand books. 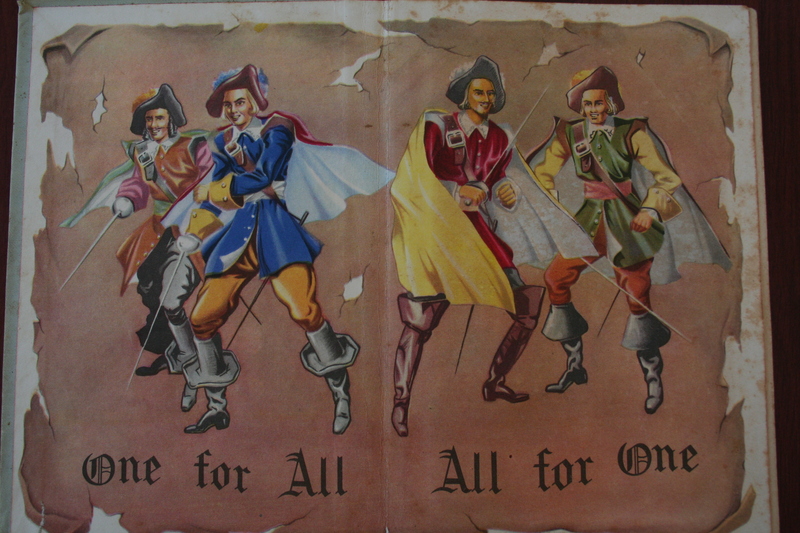 I love the history of old books – thinking of who purchased it originally, how many hands it has passed, how many people it has inspired, entertained or taught. 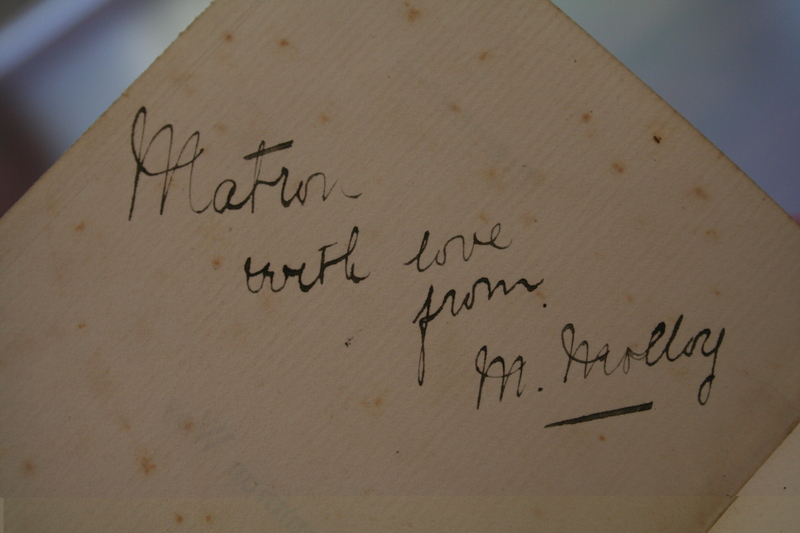 I love the inscriptions you find in them – books given to people with love, with hope. I love their stained covers, marked by someone placing a coffee cup on its cover, or spilling the wax from a candle over it accidentally. I love their musty smell. Their fragile pages. 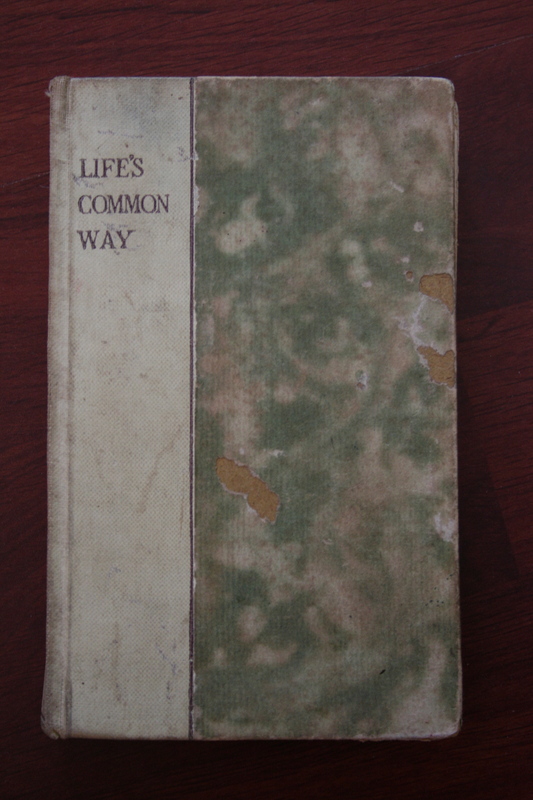 I adore secondhand bookstores, because they are comforting and warm, but also because they house some pure gems. Gems I cannot allow to leave behind. 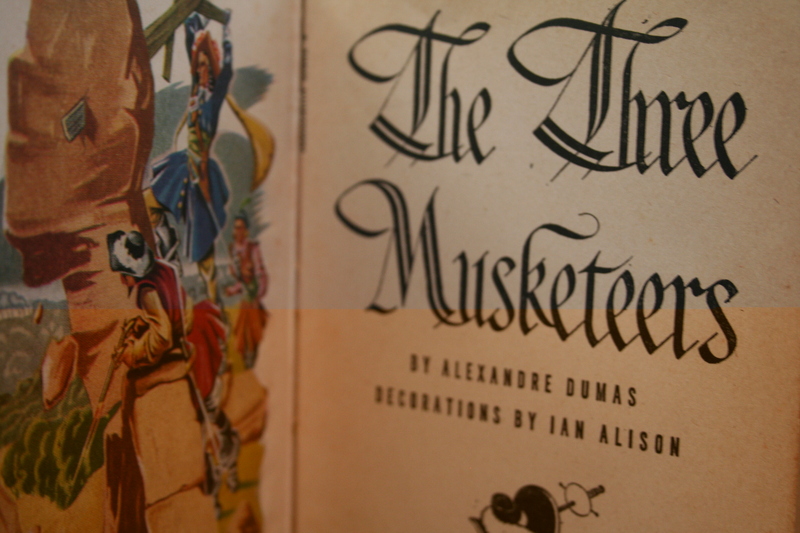 Yesterday, I visited a secondhand bookstore that only opened last week, mere minutes from my house. 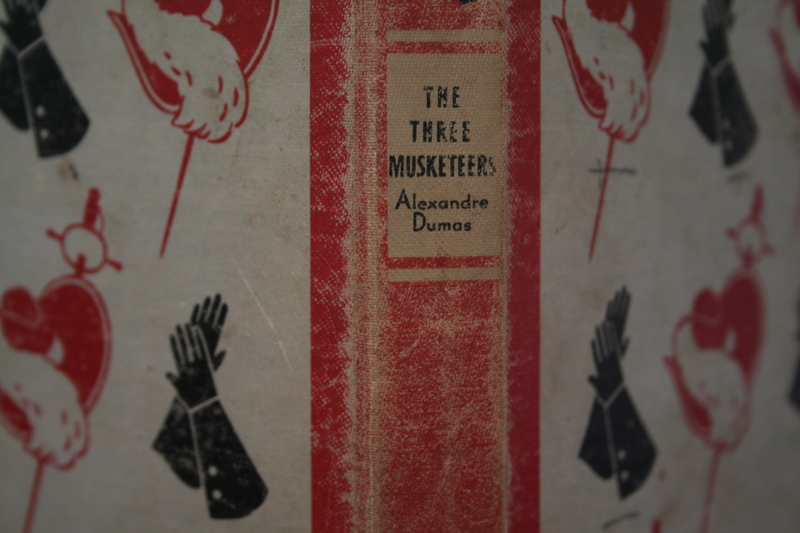 Imagine my joy to discover an illustrated copy of The Three Musketeers by Alexandre Dumas from 1928. 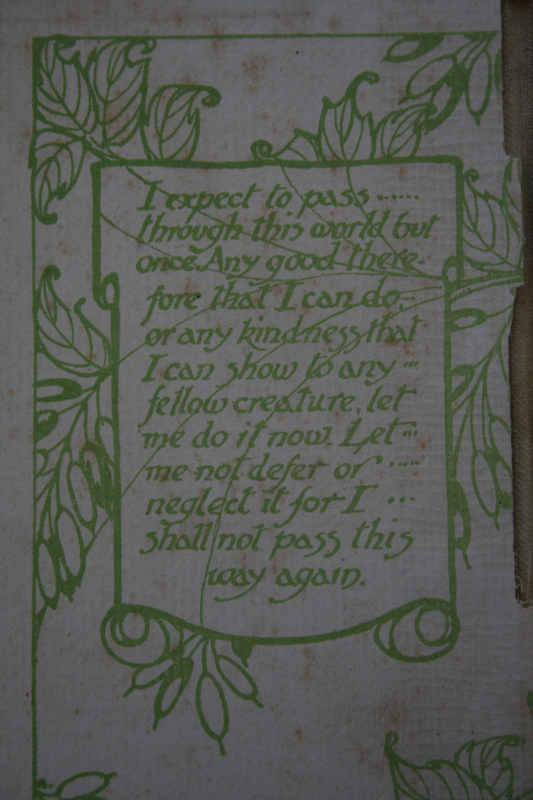 Or what about this absolutely wonderful collection of quotes, prose and thoughts – on various facets of life – from 1919. If this were published today, it’d sit in the ‘self-help’ or ‘motivational’ categories in modern bookstores, such is its wisdom and power. → The Must See Of The Year. ← Swearing In Public. What’s The F&#!ing Problem? Love your work! 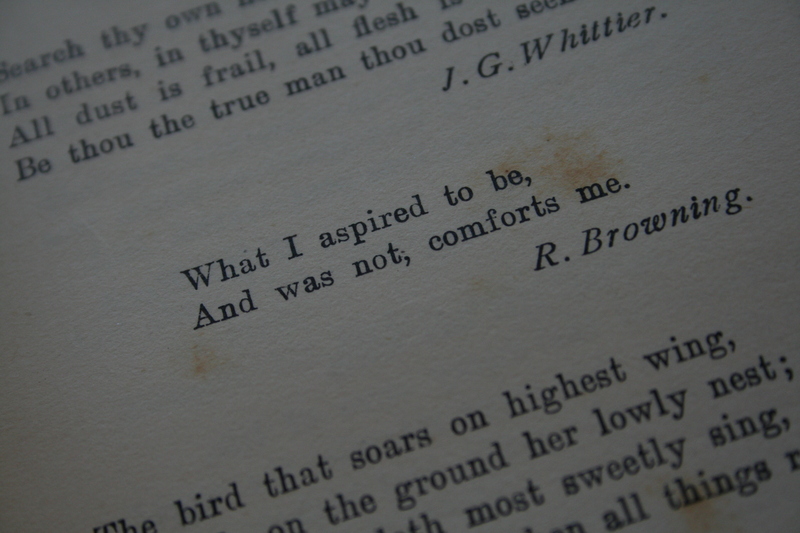 My granny instilled a love of books in me – new and old. It is what made me become a writer. 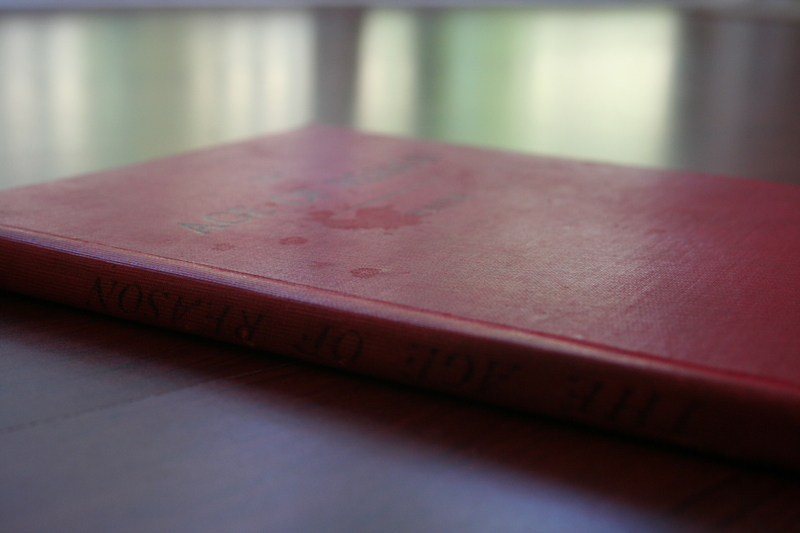 I can still smell the smell of one, as I picked up one from her bookshelf, opened it and inhaled its pages. I love books, any book and any kind. But these, I will admit, are beautiful. 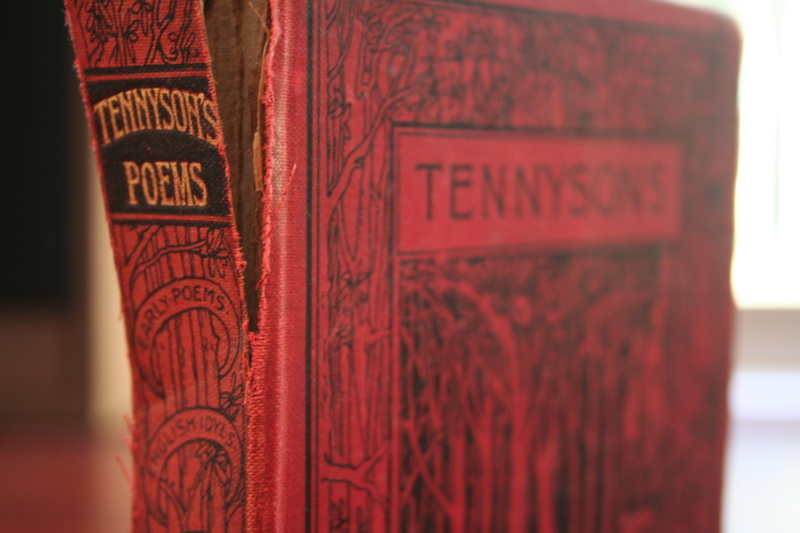 I’ve needed to read Tennyson for a long time. Love the books. Love the photos. Loved this – photos are gorgeous, and I too can totally relate to your love of books. 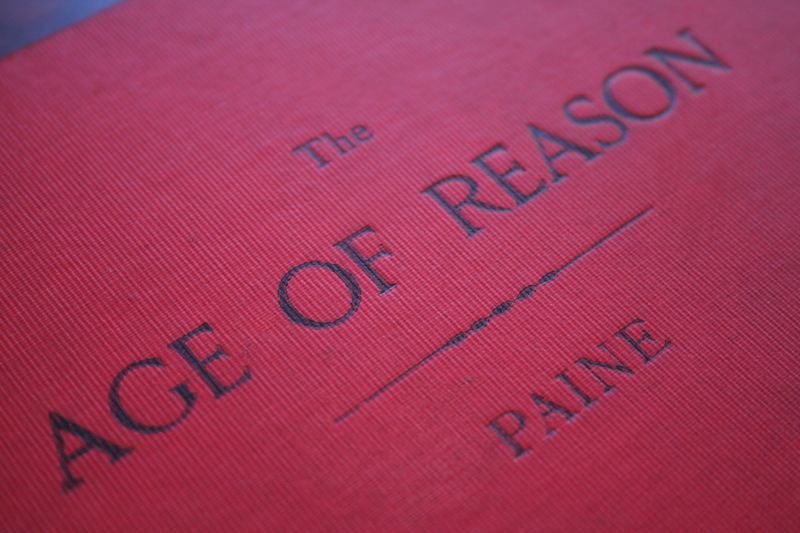 The age of reason echoes in my heart and resonates through my mind almost as a revealed part of myself or of my ‘inner being’. The quest for truth must never falter.